Netball is competitive and good for your health. More than 20 million people in 80 countries around the world play netball. 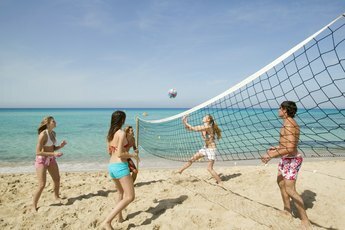 It might be worth finding a club in your area to join a league and experience this energetic sport for yourself. Besides the social satisfaction you'll get from competing with and against teams of women, netball has many physical benefits. This is especially true when it comes to improving your aerobic fitness. 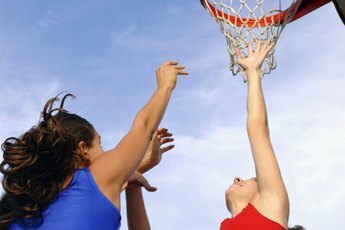 Netball incorporates several types of exercise that can improve your aerobic fitness levels -- especially running. Games are 60 minutes long, and if you're on the court, you're going to be moving quite a bit. According to the Mayo Clinic, an aerobic exercise like netball can help you lose weight, increase your stamina, strengthen your heart, keep your arteries clear, boost your mood and maybe even live longer. Depending on your weight, you can burn between 600 and 1,300 calories per hour when you are running. Speed and agility can be prized attributes in netball. During your training, you'll be put through drills that will challenge your response time, coordination and explosive speed. Star runs require you to stand in the center of a circle with four cones spread around the diameter. You'll then have to run forward, left, right and back, coming back to the center after touching every cone as you face one direction the whole time. An awareness drill might have you standing in a circle with three attackers and three defenders as you pass the ball as quickly as possible without giving it directly back to the player you received it from. Depending on the pace of the game, netball can also give you the benefits of interval training, since you might be running, jumping, changing directions and generally raising and lowering your heart rate throughout the match. Interval training uses your body's two energy-producing systems -- aerobic and anaerobic. Because you'll be exerting yourself at a high pace at certain points in the match and then recovering on defense or during lulls in the game, you'll develop your muscles and build cardiovascular endurance without feeling too much of a burn. Netball isn't supposed to be a contact sport, but that doesn't mean injuries are uncommon. The constant stop-and-go nature of netball games can place a lot of strain on your ankles, knees and hips. If you handle the ball often or have to defend other players, your shoulders might be taxed as well. The "British Journal of Sports Injuries" found that between 21 and 43 percent of netball players experienced joint-related injuries. Women with hypermobility in their joints were more likely to suffer injuries playing netball than those with stable joints. If you have chronic joint problems or any condition you feel could affect your ability to play safely, consult a doctor before stepping onto the court.